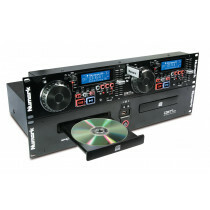 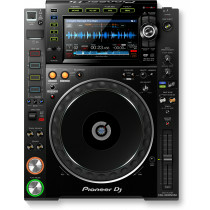 The Pioneer XDJ-700 is the most compact media player which features a touchscreen and boasts CDJ controls. 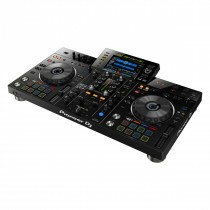 The Pioneer XDJ-1000MK2 offers enhanced track browsing features and high-quality audio support as well as an improved jog wheel. 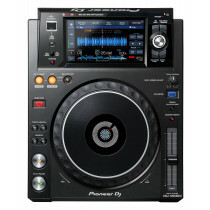 The Pioneer XDJ-RX2 is the second generation of the popular, rekordbox driven, all-in-one dj system. 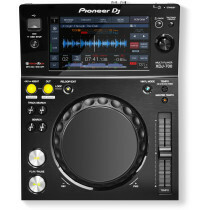 The Pioneer CDJ-2000NXS2 is the flagship CDJ model delivering the highest sound quality and a range of booth friendly features.